Sarita Hudson says treating asthma patients is a frustrating exercise if they’re just returning to homes filled with environmental triggers. nyone who has experienced an asthma attack, the chest-tightening, often panicky feeling of not getting enough air into the lungs, knows it’s not a matter to take lightly. Yet, it remains one of the most common medical conditions in Massachusetts, affecting some 10% of Massachusetts residents, according to the state Department of Public Health. In Springfield, it’s even worse, with rates approaching 18%, making it one of the most asthma-aggravating cities in the U.S. This is more than an individual health issue, she noted. When kids miss school days because of asthma, their absenteeism can lead to poor academic performance. When parents have to stay home with them, they miss work, with all the financial implications that entails. Multiplied over hundreds of homes, that’s a region-wide economic and quality-of-life impact. The region’s air quality is a factor, but so are its aging homes, Hudson noted. “Springfield has old housing stock — more than 86% of the homes were built before 1978, and 40% were built before 1940,” she said, adding that elements of these homes, ranging from mold and moisture to rodents and poor ventilation, can trigger or exacerbate asthma attacks. For the past decade-plus, the Pioneer Valley Asthma Coalition, a program of PHC, has worked with families to educate them about asthma triggers in the home, and has gone into schools to push environmental changes, like greener cleaning supplies. That’s about to change for hundreds of Springfield-area residents who will soon take part in a program, first modeled in Baltimore by the Green & Healthy Homes Initiative, that pays for home improvements specifically related to asthma control — mold and moisture remediation, pest control, ventilation and air quality, removal of carpeting that harbors dust and other allergens — with the goal of keeping asthma sufferers out of the hospital. The intriguing aspect of the project, known as Pay for Success, is how it’s funded. Calling the model a “social-impact bond,” Hudson said private investors will pay the up-front costs to perform interventions for 600 families — 200 families a year over three years. Revitalize CDC and the Springfield Office of Housing are among the partners which will oversee the home improvements. “If we show impact — if we do what we say we’re going to do, which is reduce healthcare utilization and healthcare costs and keep people healthier — the investors are paid back by the healthcare system: Health New England, the state Medicaid office, Mass Health,” she explained, noting that financing details are still being worked out. If it works, it’s a way for investors with a bent toward social good to earn a return — Hudson said between 3% and 7% is the goal — on their investment in a total stranger’s home and health. 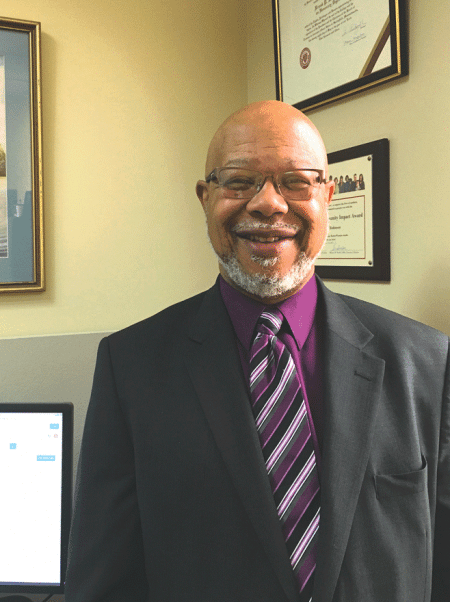 Frank Robinson calls Pay for Success an innovative example of the intersection between clinical and community-based care. The downside, she said, is that it’s still unclear how to determine how much someone’s healthcare costs have decreased due directly to the housing improvements. Also, in a world where provider contracts often include shared savings, all providers expect a piece of that savings — so who determines what piece is carved out for the social investor, and when will they be paid? Those details are still being worked out, Robinson said, but an external evaluation program will address those issues by comparing the families that receive interventions with those that don’t, so the partners will be better able to document where the intervention made a difference. Spain did note that asthma is an ideal condition around which to launch a program like this because the cost savings can be recorded in the short term, as a patient might go to the emergency room at any time. With something like diabetes — which may result in blindness, amputations, or renal failure — the most significant costs won’t appear for years, maybe decades. Pay for Success is certainly not an end-all to the problem of asthma. The American Academy of Pediatrics recommends a number of interventions families can implement with little cost to reduce the risk and severity of asthma, from banning smoking in the home to reducing exposure to dust mites. For the latter, allergy-proof encasings are available to cover pillows and mattresses, and all bedding should be washed in hot water every week or two. Stuffed toys should be removed from the bedroom, which should be vacuumed and dusted regularly. Dehumidifiers and HEPA filters help as well, although these are a bit more expensive, and pets can easily be barred from the bedroom, which, through all these suggestions, can be turned into a safety zone against asthma triggers. But other interventions, from extermination services for persistent pest problems to mold remediation; from carpet removal to fixing leaky roofs and plumbing, can be out of reach of low-income families, and that’s where the Pay for Success program promises to make a difference. Once the financial details are finalized and investors lined up, the partners plan to contact the first cohort of beneficiaries. Additional project funding will be provided by the White House’s Social Innovation Fund, with technical assistance from the Green & Healthy Homes Initiative.